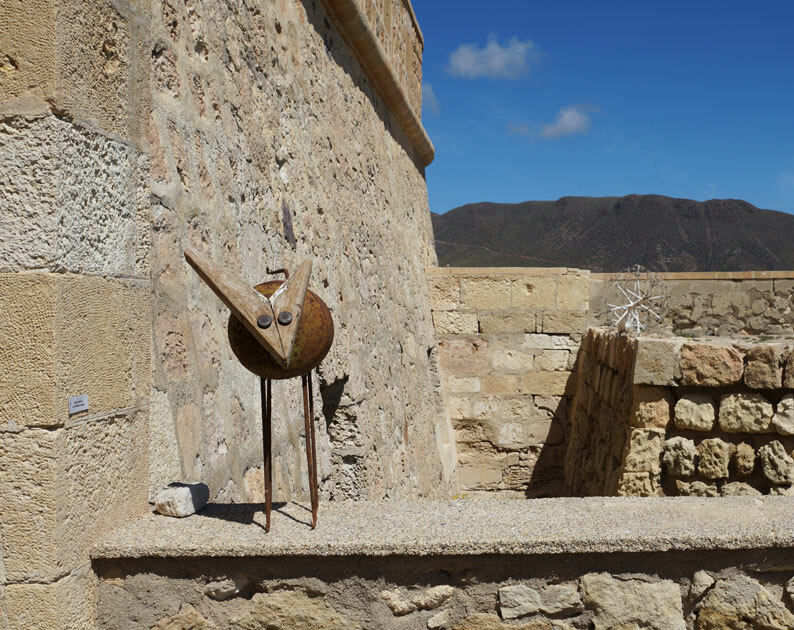 This morning I visited the exhibition of sculptures in wood and metal by Ulli Butz and Hans Bömer at the Castillo de San Felipe in Los Escullos. There was a good crowd, mainly from the German community, out in the Easter sunshine and refreshment and live entertainment were laid on. 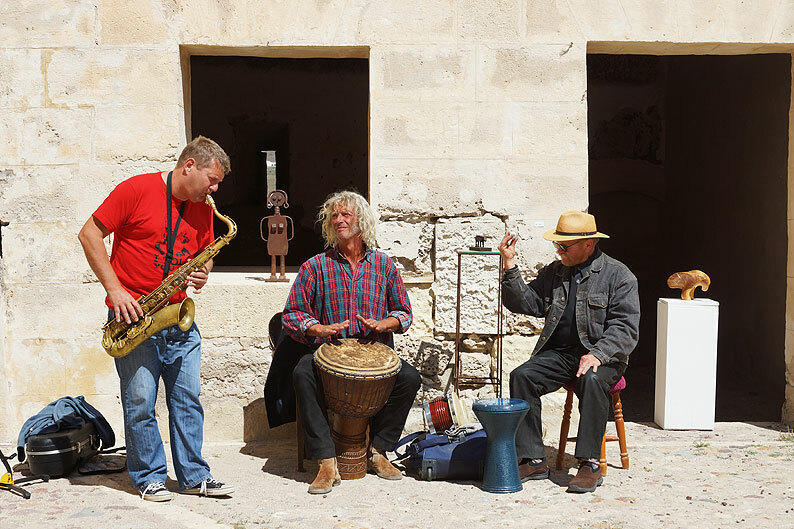 The dramatic setting of the old fort is perfect for showing off their fascinating and often amusing work. The exhibition is on until the 8th April. Please go and see it. Blog by Digby. Hope you like the pics. If you click on the photos they will enlarge. 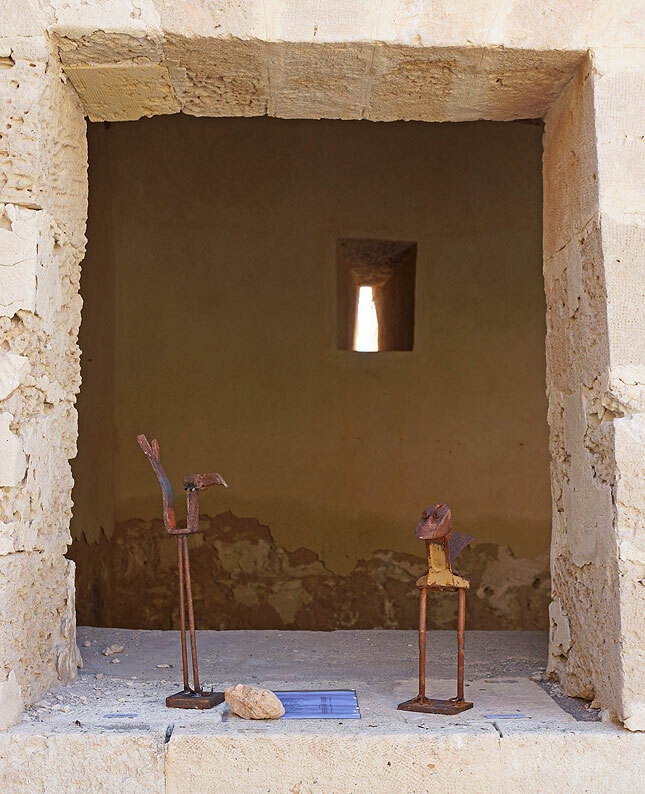 This entry was posted in Uncategorized and tagged Almeria, Andalucia, Cabo de Gata, castillo, exhibition, Hans Bömer, Los Escullos, Parque Natural, sculpture, Spain, Ulli Butz. Bookmark the permalink. 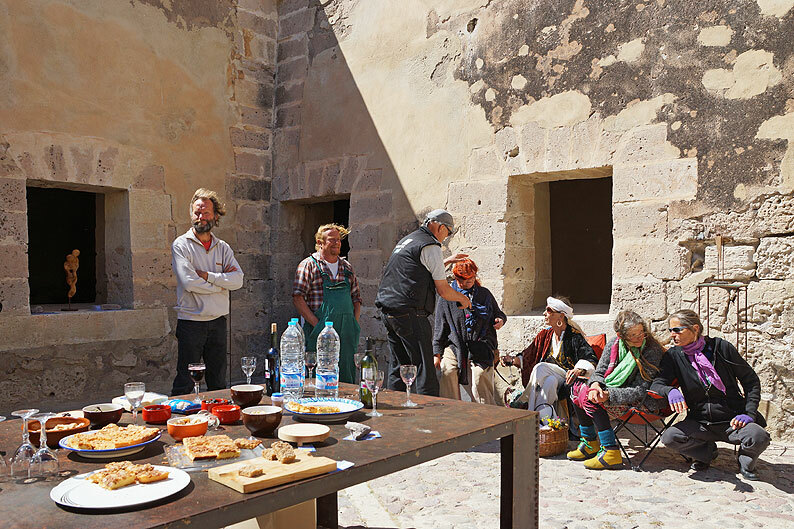 Review of the opning of Ulli & Hans’ joint exhibition @ Castillo de San Filipe in Los Escullos. I love your blog. Your photos are amazing. Your paintings are beautiful. 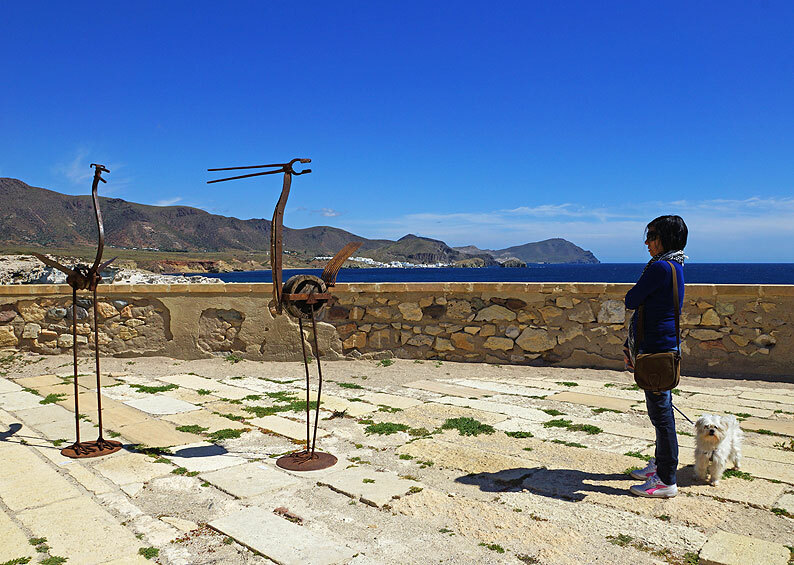 We also love Cabo de Gata Park and we own a house in Rodalquilar. 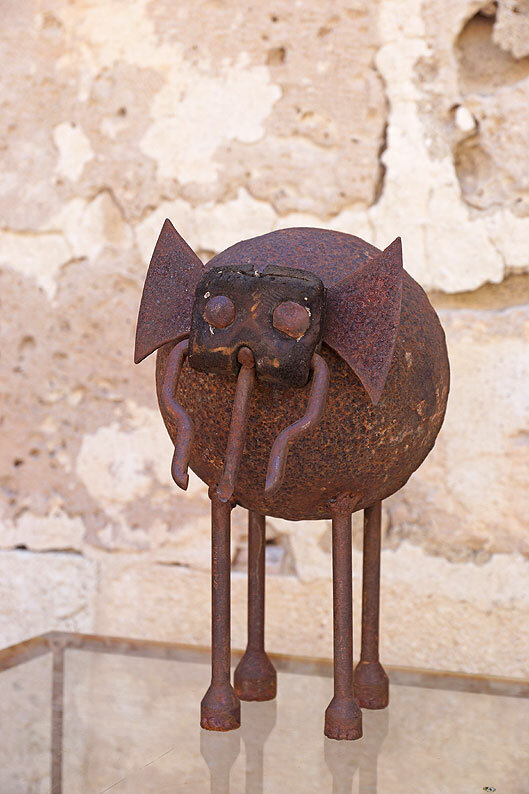 I am pining some of your pictures. I hope you don’t mind. Thanks for your kind comments Maria. Perhaps we could meet some time when you are in Rodalquilar.